Weirs Beach in New Hampshire is a popular resort on Lake Winnipesaukee where you will want to stop in and stay for an activity filled vacation. Cruise on the lake or take a train ride. Play the arcades, visit the museum or catch a movie at the drive-in. Watch the fireworks, take a break on the beach or have a picnic. Spend bike week here and see what all the hubbub is about. On the really hot days, try cooling off with an ice cream or sit on the deck of a local restaurant and enjoy the sights and sounds of the Weirs. That's just to name a few. There are many more exciting things to do. This is what draws the visitors to this part of the New Hampshire lakes region. Read reviews of the Weirs Beach area. Located on the southern shore of Lake Winnipesaukee, Weirs Beach is known for summer vacation fun. It has a long history dating back to the Native Americans. The Winnepiseogees, a native tribe lived in this area using the channel to Paugus Bay as a year round source of water. Their name meant "a village at the lake in the vicinity of which there are other lakes and ponds." The Winnepiseogees name eventually evolved into the name Lake Winnipesaukee. For food, the natives would fish with a special basket called a weir. They would use several weirs in the channel to trap the fish. Hence, the name "Weirs Beach." It is also commonly referred to as "The Weirs." 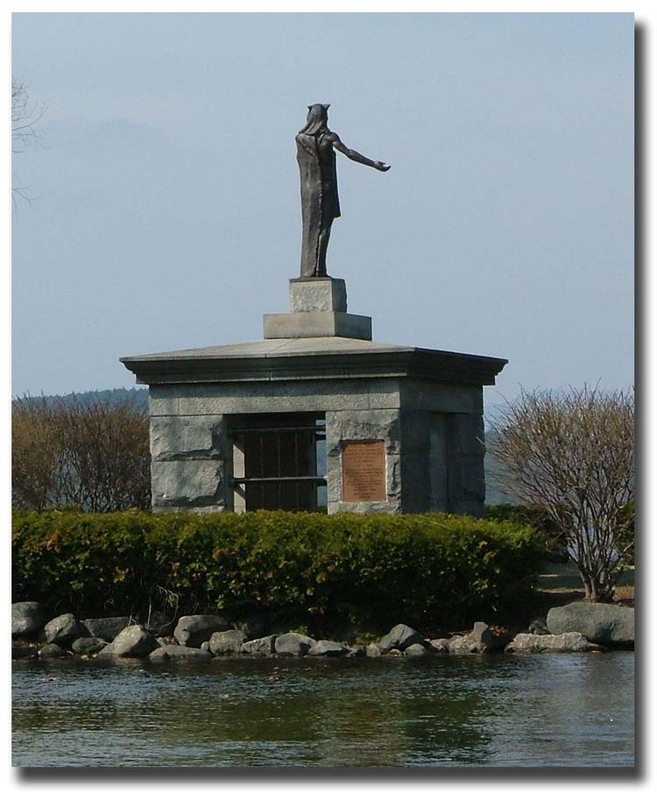 A couple of hundred years ago, Weirs Beach on Lake Winnipesaukee in New Hampshire was unheard of. When train service reached the area, it became a very popular tourist spot in New England. 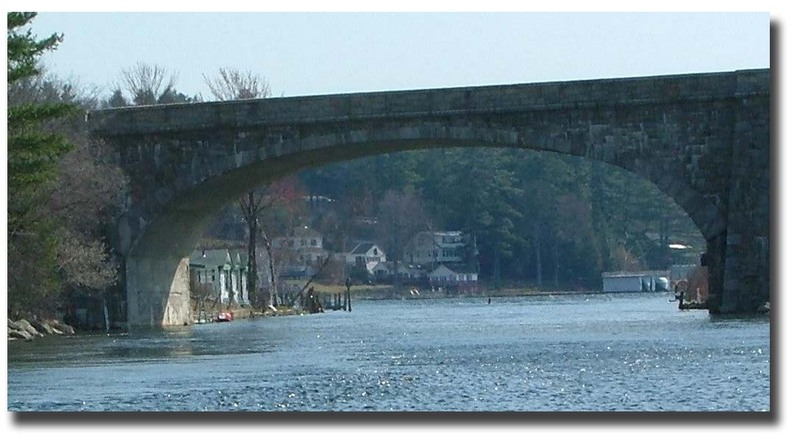 Today the Weirs is a popular summer resort on Lake Winnipesaukee in New Hampshire attracting visitors from all over the United States and Canada. Just stroll along the boardwalk and look at the beautiful views of the lake. Every few feet or so, there are wooden benches to sit and rest while soaking up views of Lake Winnipesaukee. Go swimming at the beach. Water temperatures are in the 70s from late June until early September depending on the weather. The cool water is so refreshing, especially on a hot day. The kids will want to stay all day. If you want to do something different, have a picnic at Endicott Rock Park on Lake Winnipesaukee in New Hampshire. Bring your own food or stop at a nearby place and get your food to go. Interested in cruising the lake, but don't own a boat? Then take a tour of Lake Winnipesaukee on the M/S Mount Washington. This popular cruise ship offers a ride around the lake that can't be matched. Go in the morning, afternoon or evening. Try a mother's Day brunch, fireworks on the 4th, fall foliage, sunset cruises or dinner and dancing. There's a cruise for everyone. Are you more of a landlubber? Catch a ride on the Winnipesaukee Scenic Railroad. Travel north and view the landscape along the shores of Lake Winnipesaukee or head south along Paugus Bay. The New Hampshire scenery is gorgeous and well worth the trip. If you're up for some fun, there are several arcades in the area. At the center you'll find the Half Moon Arcade with a penny arcade and family fun center. Walk down to the Winnipesaukee Pier and check out their arcades. On the other side, you'll find Logs of Fun. This Lake Winnipesaukee family arcade also offers a climbing wall. If you want to go for more, then you'll definitely have to try out Funspot. There are video games, pinball, kiddie rides, mini-golf, bowling, bingo mini-golf and an adventure park. Looking for miniature golf places? Just in the Weirs alone, you'll find several mini-golf courses. 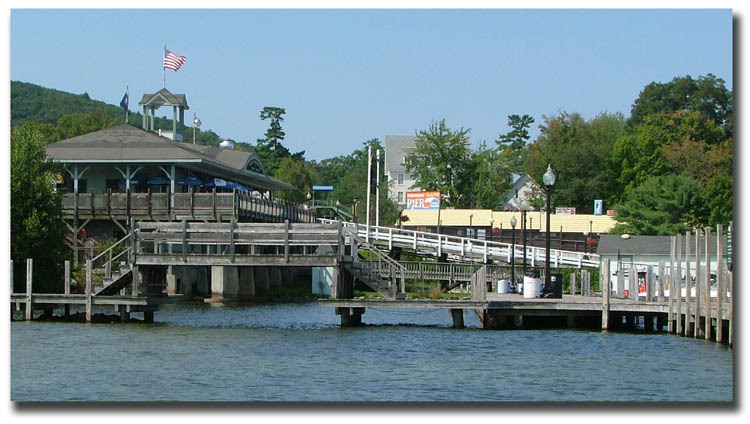 Winnipesaukee Pier has one right on the boardwalk. Volcano mini-golf winds through caves in and around the water slide. Logs of Fun offers a course along with a nature walk. Daytona Fun Park has many water obstacles, Funspot features the famous New Hampshire landmarks theme. A little further away there is Pirate's Cove. They actually have two miniature golf courses in the area, one on the way to Meredith and the other in Sanbornton along route 3. Still looking for something else to do in the Lake Winnipesaukee area of New Hampshire? 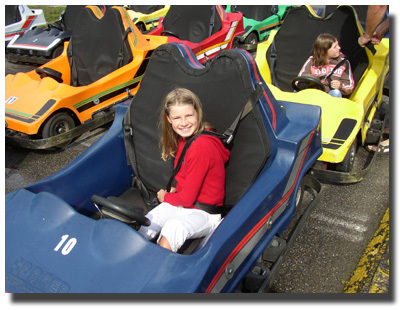 Try go-kart racing at one of two places, Daytona Fun Park and Weirs Beach Go-Kart Track. Want to cool off without jumping in the lake? The water slide offers a fun time to slither your way to coolness. Just have a few minutes? Try the bumper cars, it will seem like you're at an amusement park. If you're into baseball, then practice your pitching at the Winnipesaukee Pier or improve your batting average in the batting cage of Daytona Fun Park. If you're not into any of that, there's always shopping. Find souvenirs, jewelry, candy, antiques and more at the Weirs on Lake Winnipesaukee. Plus there are many shops close by, such as Kellerhaus. Want Some Evening Fun Around Lake Winnipesaukee in New Hampshire? Weirs Beach has a lot to offer. We usually cruise on over by boat to walk around, get an ice cream, check out the Winnipesaukee Pier and just do some people watching. If it's not too crowded, we go through the channel to Paugus Bay. On Friday evenings in July and August, we pop on over to watch the fireworks display. They also have them on Memorial Day, Bike Week, 4th of July and Labor Day. There are so many other activities, restaurants and more in the Weirs Beach area of Lake Winnipesaukee in New Hampshire that you'll never be bored.